In the early 1990’s Birmingham City Council made substantial improvements to the West side of the City Centre, particularly with the construction of the International Conference Centre and the development of Brindley Place, a complex of restaurants and offices. Between these two new developments is a very traditional canal. 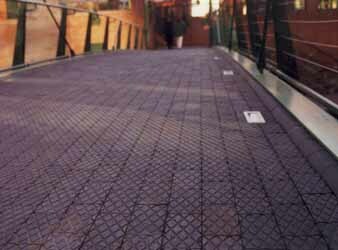 It was necessary to provide a footbridge linking the two where a traditional, hard wearing, non-slip product was required. Birmingham City Council chose Ketley Staffordshire Blue Diamond Chequer pavers, which met all the demands required. 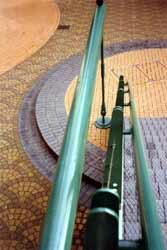 It is interesting that the same pavers have been laid on edge to provide risers for the steps.